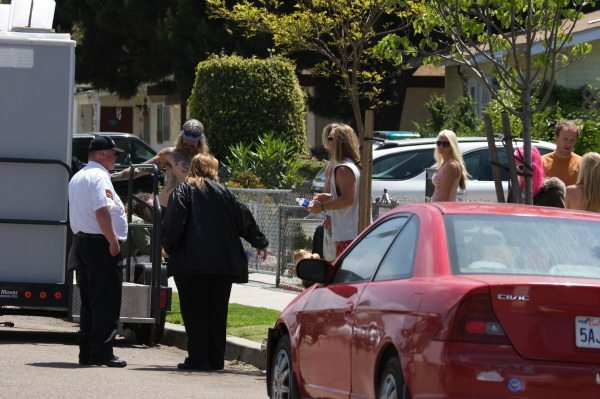 Film Makers Finish Up Filming in Ocean Beach After Shots On the 4700 Block of Long Branch – Where Rental Cops Refuse Entry to Non-residents – & On Bacon St.
Our reporter then went home and got his long lens and shot photos from a short distance away. He found out the following:”The Movie is a pilot for CBS. It’s a comedy-drama, the working title is Metaphysical X. It’s supposedly based in San Diego, with the main character, a woman looking for meaning in her life, living in OB.” A woman is informed by a psychic that she should find her true love – who is her old boyfriend, who lives in OB. So she is out searching for him. The CBS film crew was friendly, our reporter related. They shot a scene that included three nicely rehabbed cottages on that block of Long Branch. If it works and succeeds as a pilot, OB could be the site of a television series. Perhaps we can look forward to see what it does to OB. 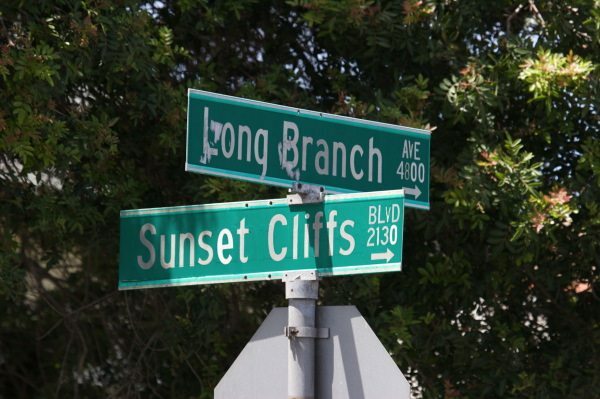 Will it do to Ocean Beach what “O.C.” did to Orange Co.? Maybe they’ll hire locals to pretend to be pretenders. This morning as we journeyed out into the world, we saw trucks and trailers parked on the 4700 block of Long Branch Ave. The “No Parking” signs have been posted on Ebers St. near Long Branch for the past several days, indicating they may be filming there today! 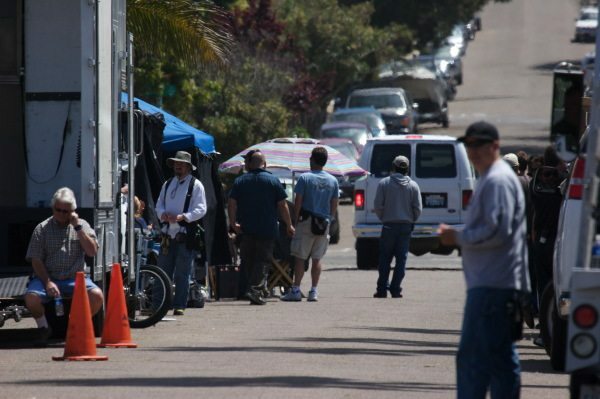 We’ve heard word on the street that someone is filming a television pilot around town in Ocean Beach. Sitcom Maybe? There have been trucks and trailers parked around town, especially near the beach, and lots of No Parking signs and orange cones. 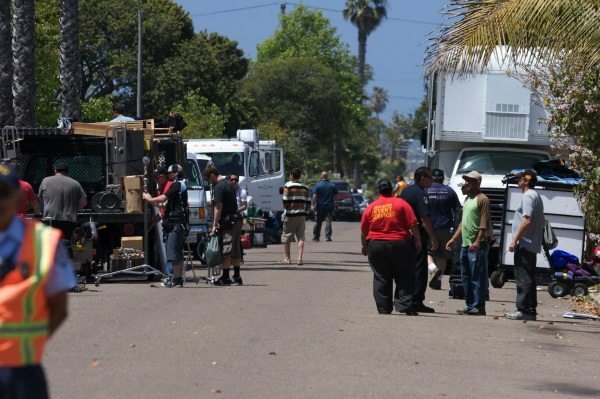 One scene was shot on the last block of Narragansett. Any word from our readers? I am wondering what the pilot show is about! Anyone know? I heard it’s a comedy set in a beach town. The receptionist at The Electric Chair this afternoon (Mary?) said that she heard that the show is about a young woman who is told by a fortune-teller that she will find her “true love” (who happens to be a former boyfriend) in Ocean Beach. 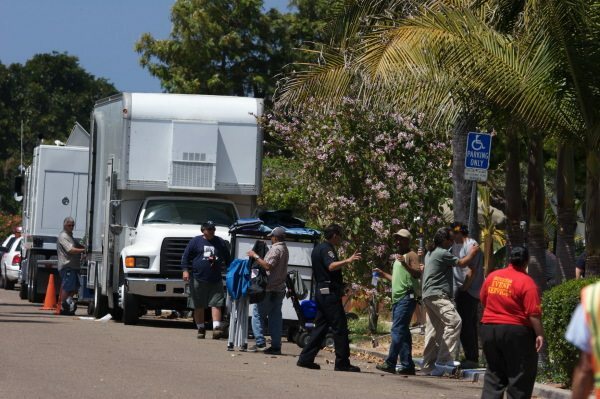 Apparently the production brought in all the actors, including extras … signs on Newport this afternoon said “businesses open during filming” but a lot of parking (incuding the whole lot by the BofA ATM) was taken up with trailers and equipment. I heard they were making a documentary about the “Lost Years of George W. Bush” and his time spent asking for spare change to get a drink at the foot of Newport. I had a friend who would come to OB every racing season, and he swore that he once partied with George W many, many years ago – way before his first election – and ol’ George was doing all kinds of drugs at a party in Mexico, especially coke, where he was so stoned he got up on a table and was dancing. Thanks, BL, for sharing the news with us! And jettyboy… the lost years? Would those really be the years he spent on the beach? This just in! Local surfer disparages “wannabe” skateboarders and surfers involved in the filming. He – the un-named surfer – calles them “pretenders.” Anyhow, the trucks and trailers are still there, taking up a lot of parking, as of Monday 4/14. 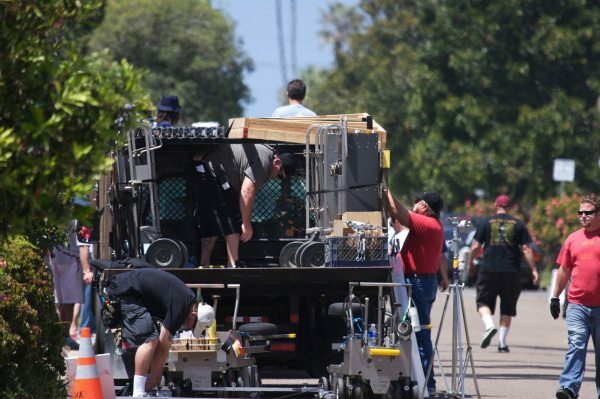 Last Friday they were filiming on Newport. For the fiming they added lettering to the outside windows of two business, one was a Nail Salon the other was a Fortune Teller. I saw an actress wearing a wedding dress standing in front of a limo. I figured the plot to be something along the lines of the ‘bride’ was going to get her nails done and then stopped to see the fortune teller and then…. Does anyone know the answer to the following questions? Has OB ever been depicted in the movies before? Has there ever been a movie where OB was the center of the movies activities? Rick! Yes! Aliens Invade Ocean Beach! Rick – yes. 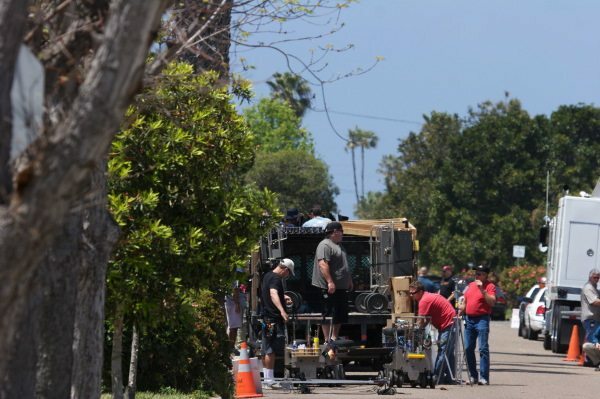 A 2000 film called “Almost Famous” directed by Cameron Crowe depicted several scenes of Newport Avenue, and was supposed to include shots within an old craftsman house – but actually the house was in North Park. Cameron Crowe never wrote for the OB Rag, but he did write for the San Diego Door. Don’t know of any substantive film where OB was the center. According to one of our photographers, they’re filming a CBS pilot for a show called, Mythological X. I couldn’t tell you what it’s about. I ask one of the rent a cops if they were with BLACKWATER, got a real sharp NO. Did notice that the rent a cops had no weapons, but the SD cops did. I guess now that the new world order is in place, nothing we do will be without some form of security. Soon when two people meet, one of them will be connected with security. How can you become an extra for this pilot?